Naturalife Wholefoods is pleased to announce the launch of a new therapies service. We are always looking for ways to enhance our product and service for our customers and the offering of different natural therapies is the perfect complement to our product range. The following therapies are available at our treatment rooms in Taunton above our Bridge Street shop. We are currently working with Andrea Edwards. Based in Taunton Andrea is a qualified Bowen therapist. The Bowen technique is a hands on, non-invasive, therapy that allows clients to relax and relieves the stresses and strains of everyday life. Clients can find relief from a wide range of problems in just a few sessions. Sessions last between 45 and 60 minutes and are pleasant to receive as the therapy can be delivered through light clothing while lying down or sitting in a chair. Many clients who have undergone the Bowen technique find it deeply relaxing and a relief from stress. Andrea also delivers other therapies including Spinal Touch, Indian Head Massage and Natural Lift Facial Massage. For more information or to book a therapy please contact Andrea Edwards mentioning your referral from Naturalife Wholefoods. Feeling bloated, tired, or having difficulty with your weight? Jan Marke has more than 20 years experience in helping people to find out whether what they eat is adversely affecting their health. The list of symptoms most commonly helped is long, including; various digestive disorders, Candida, skin problems, catarrh, hay fever, headaches, nausea, anxiety, depression, palpitations and many more. Jan does not test for allergies, which require medical intervention, but for the many food sensitivities and intolerances more widely suffered. The test is painless and non-invasive and suitable for anyone over the age of 4 years. It is followed by a full discussion of any changes advised and provision of whatever information you may need. For more information or to book an appointment, please contact Jan Marke mentioning your referral from Naturalife Wholefoods. 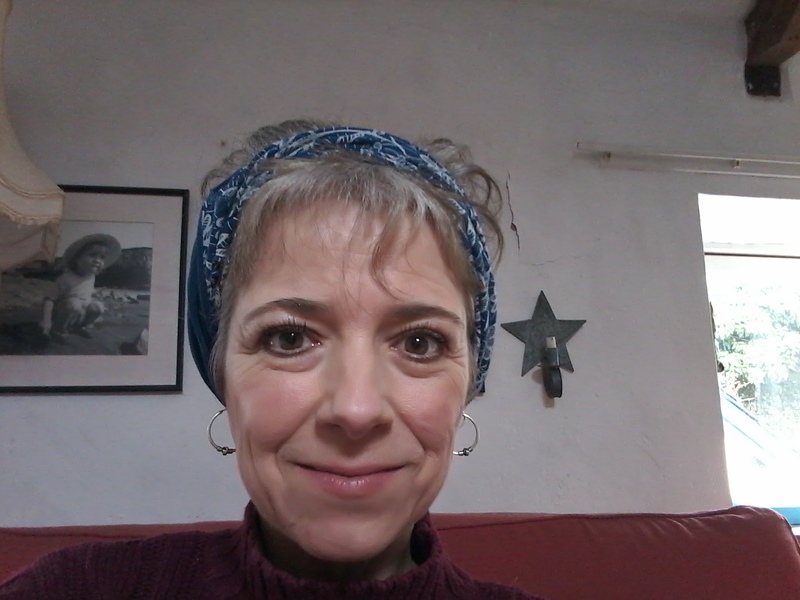 Jacquie has a special interest in women’s health including menstrual/menopausal problems exhaustion, low self esteem, pregnancy, childbirth, postnatal depression, recurrent cystitis, children’s behavioural problems and care of the elderly. Experience includes homeopathic treatment for arthritis, anxiety/depression, grief, exam stress, insomnia, gout, inflammatory conditions, rheumatism, skin complaints (acne, eczema, herpes, psoriasis) allergies/ hay fever, digestive disorders/IBS, ME, respiratory complaints, sinusitis, recurrant infections, fibromyalgia, sports injury. For more information, prices, or to book an appointment, please contact Jacquie Haylett mentioning your referral from Naturalife Wholefoods. Holistic Massage, Hot or Hot & Cold Stones Therapy, Indian Head Massage, Ayurvedic Massage/Therapies. Daniela offers caring, unrushed holistic treatments which address many body issues, ranging from aches and pains to insecurities about your body image. Massage can help weight loss, but experience in sessions of the acceptance of your body as it is can restore your self-worth, leaving you energised and rejuvenated. For regular clients only, I offer a mobile service so that you can relax and sleep afterwards in the comfort of home. £25 for 45 minutes/£35 for 1 hour/ £60 for 1 hour 30 minutes/ £70-£80 for 2 hours depending on the treatment. For more information or to book an appointment, please contact Daniela Dias mentioning your referral from Naturalife Wholefoods. Reflexology is a gentle, non-intrusive, massage-like technique that is applied to specific pressure points on the hands and feet. These pressure points reflect all the organs, glands and parts of the body. Reflexology encourages deep relaxation and can help relieve tension and anxiety, improves mood and aids sleep. Most people report a sense of well-being and some use it to help them live more comfortably with specific health challenges. Rosemary has 20 years of Reflexology experience and has studied various techniques to suit different types of people, including Vertical Reflexology, ART with Anthony Porter and the very subtle, energetic and gentle approach of Morrell Reflex Touch. For more information or to book an appointment, please contact Rosemary Ryan mentioning your referral from Naturalife Wholefoods. Metatronic Healing flushes out the dense fears, emotional issues, conditioning and energetic debris which hold our ‘stories’ within the cells of our body and energy system. The effort consumed holding these blocks in place is gently released, unwinding tension, releasing inner pressure and therefore promoting physical and emotional health – holistic healing. It allows more of the light that is a reflection of your truest nature to be revealed. CranioSacral Therapy (CST) is a hands-on therapy, where the touch is a very gentle, non-invasive and usually very subtle. But don’t be fooled, it is also a powerful therapy that positively affects the central nervous system to assist in improving function in the whole body. By using ‘listening hands’ to feel the CranioSacral Rhythm (CSR), it is possible to feel how well the CSR is reflecting out to the rest of the body and what can be done to improve its functioning. This may mean simply encouraging it, as if you are gently flushing more fluid through a slightly sticky pipe, or it could mean using gentle techniques to unwind kinks in the body’s fascia: sort of like straightening out a sleeve or sock that isn’t on quite squarely. Clients find CranioSacral Therapy effective for a wide range of problems associated with discomfort, pain and dysfunction particularly in the head, neck, shoulder, back and pelvic area. CST is increasingly used as a preventative health measure. All treatments take place without clients needing to remove any clothing and following a detailed health questionnaire. If you are not achieving what you want to, in any area of your life, Jules can help you. With 8 years, 100s of clients and over 10,000 hours experience, Jules can help you with; New Years Resolutions, Confidence Building, Self-Esteem Building, Motivation, Business, Maximising Profit, Career, Management Skills, Leadership Skills, Staff Performance, Presentation Skills, Platform Skills, Relationships, Sports Performance, Addictions, Stopping Smoking, Dental Fears, Phobias, Pain, Anxiety, Stress and Depression. Call Jules for a free, no obligation chat to discuss how he can help you. Shiatsu means ‘finger pressure’ and is a holistic form of body work which helps to support rebalancing and deep relaxation. It is a safe and comprehensive way to address emotional tensions, pain and behavioural patterns, based on the Traditional Herbal Medicine model of Healthcare. 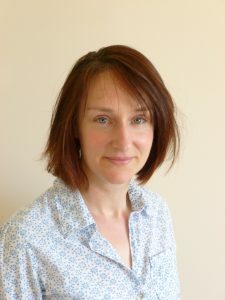 Lys qualified in 2010 at the Bristol School of Shiatsu, and completed a postgraduate course in Movement Shiatsu in 2012. The treatment starts with a brief consultation, after which, Lys will stretch your body and work into the relevant acupressure points and meridians. You’ll be fully clothed throughout. £45 per 1 hour treatment. We are all affected by problems arising from the pressures of modern life, and mindfulness is a practical technique for helping us cope – there is much evidence of good results. Mindfulness techniques can help someone cope with anxiety and panic, depression, chronic pain, emotional isolation and improve well being in those living with long term health conditions. I have many years experience in using mindfulness techniques to help address problems of everyday life. Please contact Karen for further information. Clinical Hynotherapy is a therapeutic solution that uses an altered state of consciousness to create new feelings, thoughts, responses, attitudes or behaviours. During hypnosis you will feel deeply relaxed, which enables the therapist to bypass the conscious mind and work directly with the subconscious, where many of our issues reside. Positive suggestion and other techniques, such as timeline therapy and trauma processing models, can create useful changes in a short time. Specialised in treating trauma and PTSD using a comprehensive range of tools to address their many aspects. I work with complex cases and also help with anxiety reduction and transforming many difficulties that life can bring. I offer a free initial consultation of 30 minutes to support you towards finding the best way forward. Kundalini Yoga is the yoga of awareness…it keeps the physical body flexible and strong, helps you to relax and let go of tension and brings prana into the body to move and shift energy blocks. The meditations keep the mind in its place. This yoga is ideal for stress and anxiety. It also, through keeping the spine supple, helps you feel fitter, younger and healthier – and more aware consciously as you progress through the classes. The classes are supportive and informative regarding diet and health. Shivdev Kaur has been teaching Kundalini Yoga for 14 years. She is also a teacher trainer for Amrit Nam Sarovar School. Classes are £10 each, 10am -11.30am on Wednesdays at Naturalife, Bridge St, Taunton. I have worked in the field of mental health and psychology for the last 30 years. After working for 20 years with adults, I then went on to train to work in depth with children. My work with each complements the other. I trained initially in Hakomi Psychotherapy; Hakomi is a Hopi Indian word which means ‘who am I in relation to these many realms’. My major training is in Process Oriented Psychology, in which I trained for 10 years. With its roots with Jung, in Process Oriented Psychology we follow the everyday conscious and unconscious signals that are manifested as we live our day to day lives, and which hold the answers that we seek. I truly believe that all of us have within us solutions to any dilemnas we may face. As a therapist I have the skills to help you discover what they are. At times, the sessions can look like a quiet chat, or deeply felt meditation, and at others we can explore using movement and play. Your own individual journey and personal leanings will dictate how we work together. Play is the child’s language. Through play children work through any difficulties they may be having, engaging with the therapist both with and without words. Adults often find this way of working helpful, or at use creative arts as a way to express themselves as well as, or instead of words. Please contact me for more information or an informal chat about my work.